Six wonderful things about this book. First: Dan Cereill. He’s just an all-round great young guy – funny, off-beat and adorable. He’s struggling to cope with the rapid and unpleasant changes in his life, but he does so with lists, a dog and the girl-next-door (sort of). Second: the girl – beautiful, unattainable and so desirable. Third: friendship, family and Howard, the dog! Fourth: dialogue that is so good the characters are not words but real people. Fifth: the loser boy morphs into a cool guy. Sixth: DAN! 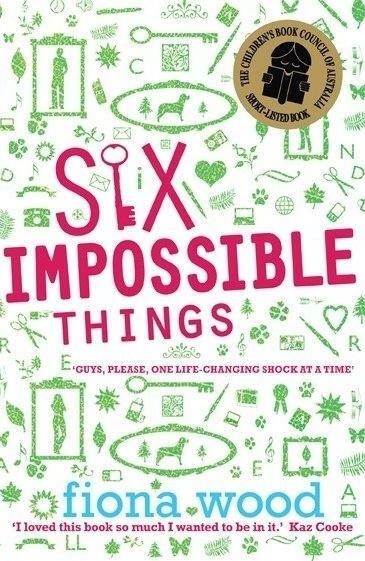 Six Impossible Things is one of the stand-out young adult novels of this year and I didn’t want it to end. Also exciting is the fact that this is a Melbourne author we can celebrate. And at Readings, we can also feel a little pleasure that we awarded Fiona Wood a Readings Glenfern fellowship while she was writing this book. A winner for ages 12 and up!